This is just gold. Absolute gold. 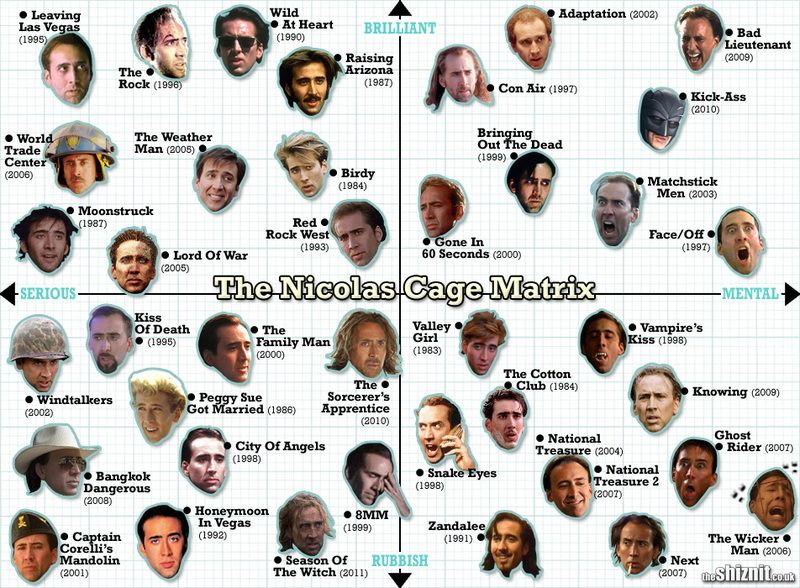 It’s the Nicolas Cage Matrix. And it does exactly what it says on the tin. It’s from the guys at The Shiznit. Click HERE to see the original post. Click on the picture above to see the full size image in all its glory. This entry was posted on February 3, 2011 at 10:56 am and is filed under RvR LOVES with tags Movies, Nicolas Cage. You can follow any responses to this entry through the RSS 2.0 feed. You can leave a response, or trackback from your own site. It’s like he is… all over the place!